When in the reception area of the golf club, there are paintings of Michael Angelo, Donatello and Raphael, all hanging side by side. If you have not been taken in by the surroundings, you will notice the staff are very welcoming and attentive to your needs. 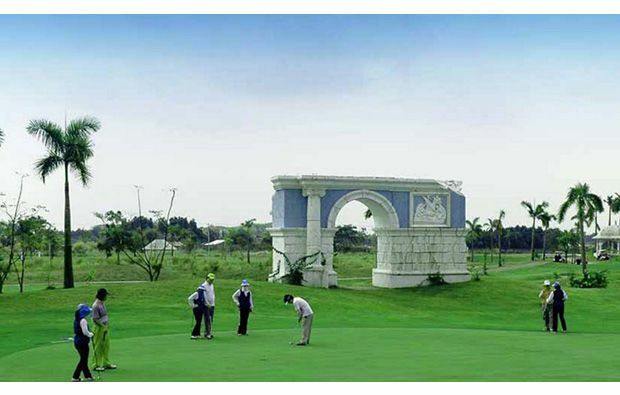 Once out and on to the golf course, numerous replicas of famous monuments located in Rome and Greece are situated around the course, in addition to replicas of Olympian god and goddesses, in gold and grey. However, once past the themed monuments, it’s time to concentrate on the golf and the course is an 18 hole, par-72 course, playing to a maximum length of 6,942 yards. This length is off the gold tees but there is a choice of Blue, White and Red, with the latter being the shortest, at 5,073. 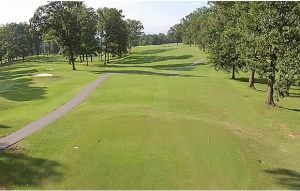 The course is quite flat throughout, without much in the way of elevation on the fairways. 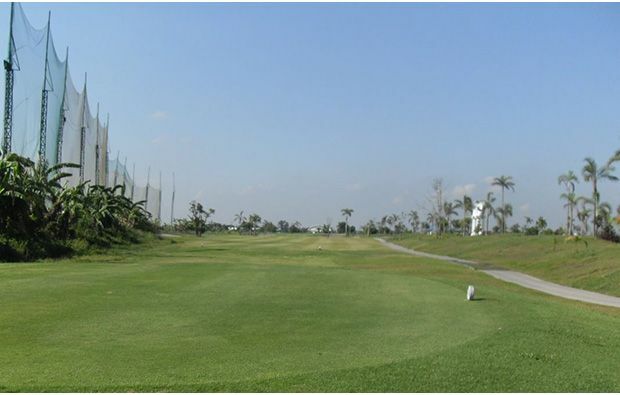 Palm trees are dotted around the course but are not dense enough to form any real sort of hazard. There are plenty of bunkers present, some of which are quite large but once on the 6th hole, water comes in to play. Water is a real hazard at the back of the 6th green, so the correct club selection is crucial, to avoid over-hitting the green and finding the stream. Water is also present on the 7th, 8th, 11th, 14th, 15th, 16th, 17th and 18th holes, so any wayward shooting here, could easily be punished. 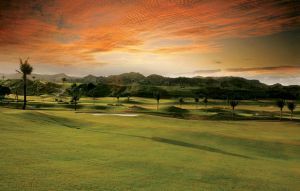 An interesting addition to the Royal Garden Golf and Country Club, is the option of night golf, making it possible to play in low light. The themed club house and restaurant, in addition to the covered driving range and putting green, make this a great venue. 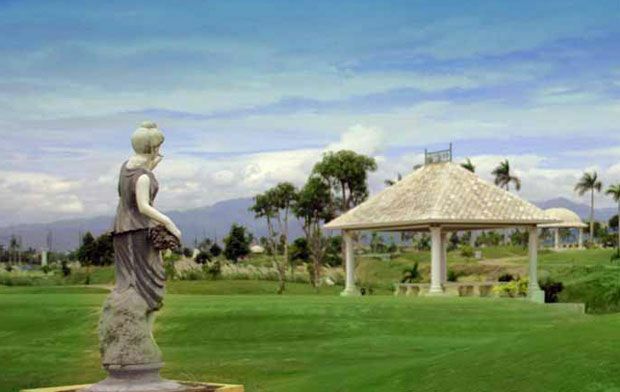 The added twist of the Greek and Roman art and replica monuments may not be to everyone’s taste but they certainly make Royal Garden Golf and Country Club stand out from the crowd in the Philippines. 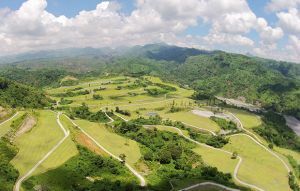 Royal Garden Golf Country Club is not yet in our pool of Golf Courses for orders.